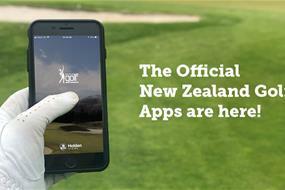 It’s been a long time in the making, but New Zealand Golf are proud to announce the launch of our new iphone applications to help golfers around the country access everything golf and with ease. There has been two apps launched with the New Zealand Golf App and Dot Golf App providing you with everything required, from researching you or your friends form to booking your next round together anywhere in the country. It also gives you a chance to communicate about your round, whether it’s good or bad, we are sure your friends will have an opinion! From here, please head to the apple store and download the New Zealand Golf App by searching “NZ Golf” which will then lead you to the Tee Booking App so you can do everything and more all from your phone.